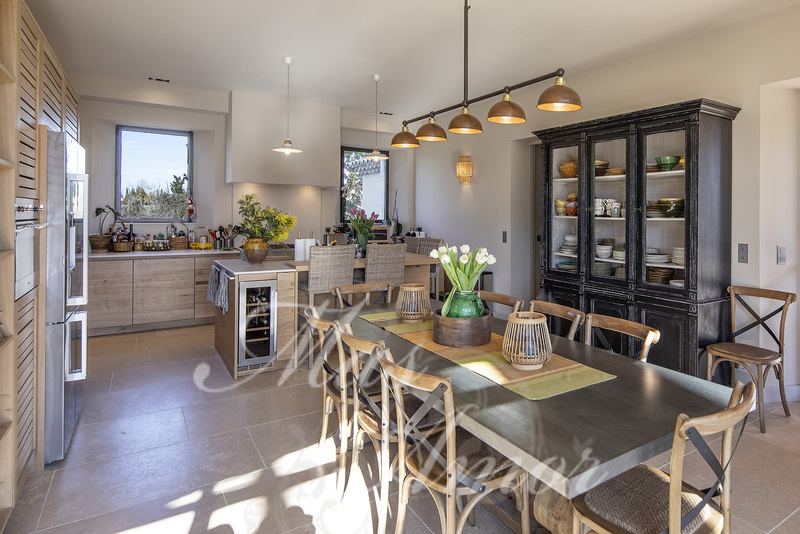 Mas St Roch is a superb property on a private domain at the entrance of the bustling village of Saint Rémy de Provence, just a short walk to the paved streets of the old village. 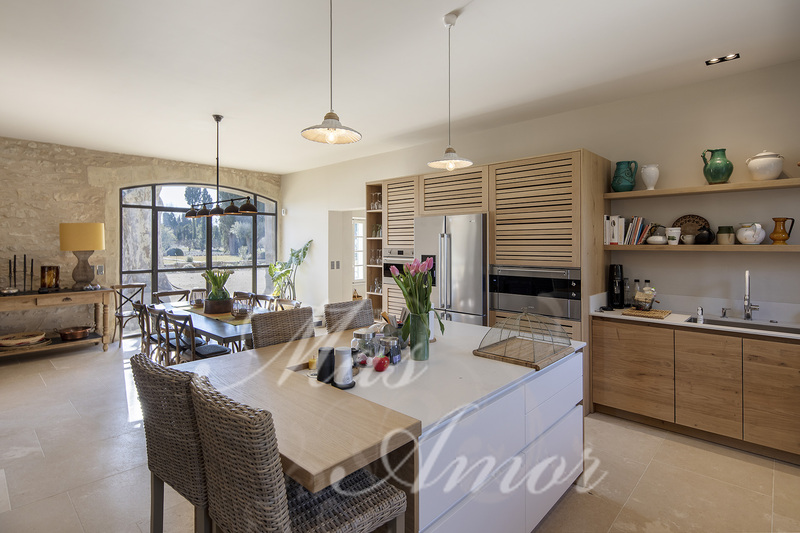 This exceptional villa is a a find: heated pool, beautiful park, lovely view on Alpilles mountains, comfort, privacy, calm and luxury. 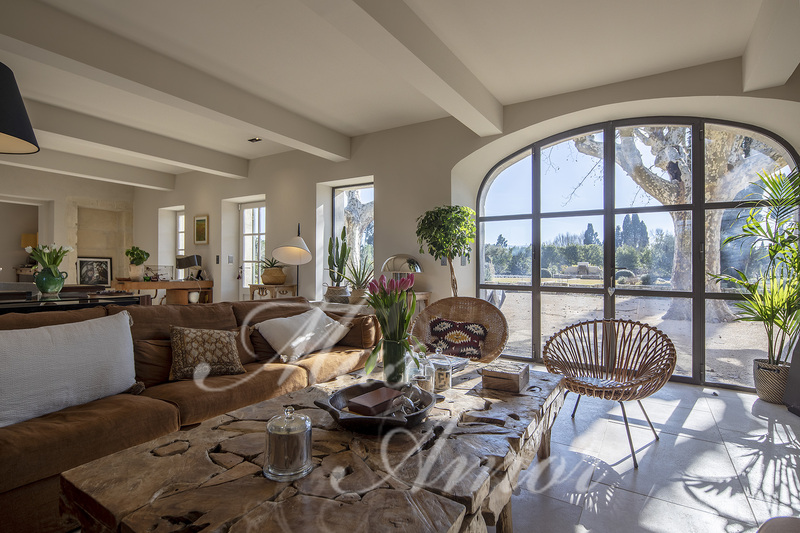 Located in St Remy de Provence, facing the Alpilles, this two hundred year old farmhouse has been renovated with great taste. 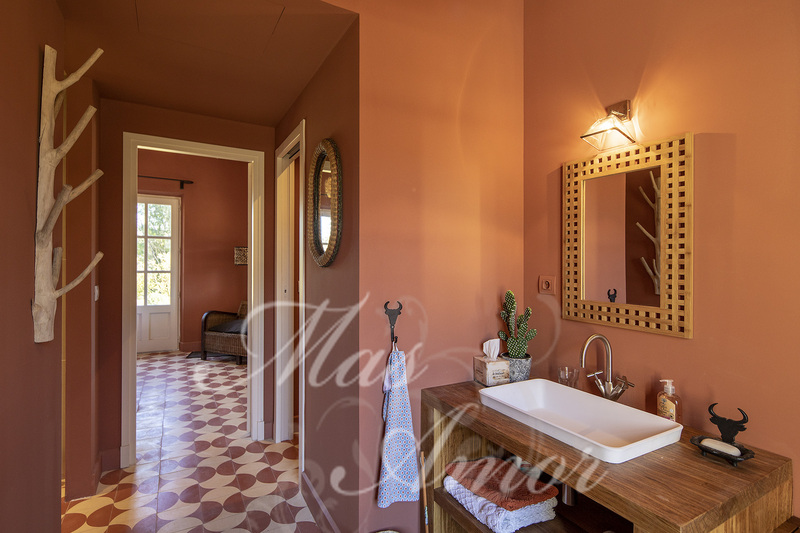 Keeping the Provençal charm, the farmhouse is dressed with noble materials and dressed up with signed furniture. Floors in pare-feuille recovered from the roof, tiles in the colors of Provence, original beams rehabilitated, original furniture, table football of the Fifties etc. 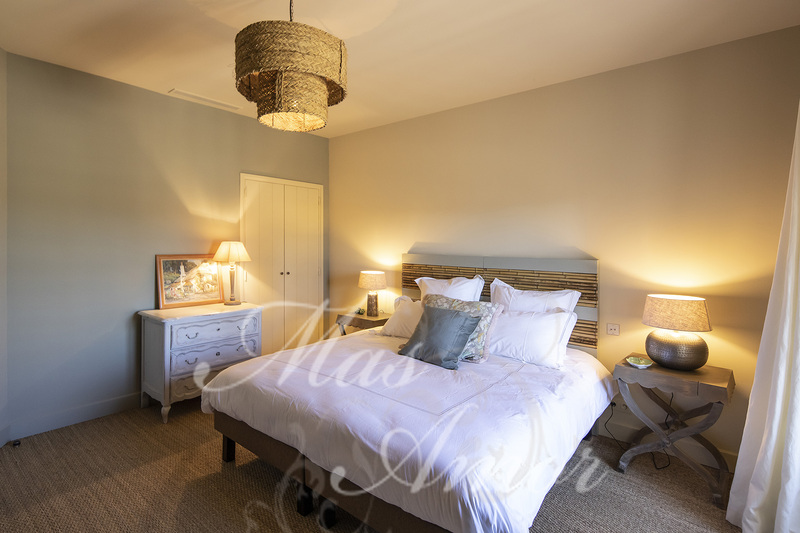 With a surface of 360 m² the property can accommodate 14 people in 7 spacious bedrooms on a plot of 2 hectares. 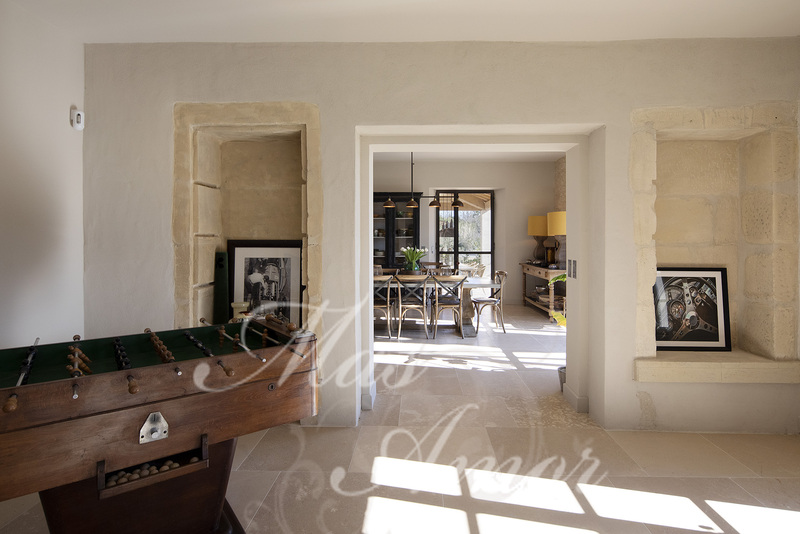 Mas St Roch is a superb Provencal Farmhouse. It’s set within an expanse of well-tended gardens fringed by ancient trees.It is very private. 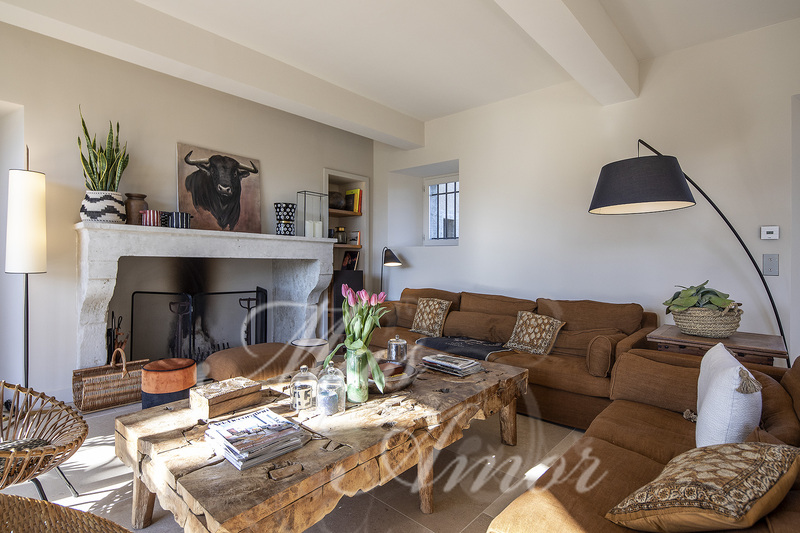 The main room consists of a spacious living room with a fireplace, an office area and comfortable sofas. The view of the park is superb: Two magnificent plane trees in the foreground, a lavender field in the middle of which flows a small stream and in the background, a field of olive trees. A nice patio at the back of the house will allow you to enjoy the freshness of the morning. 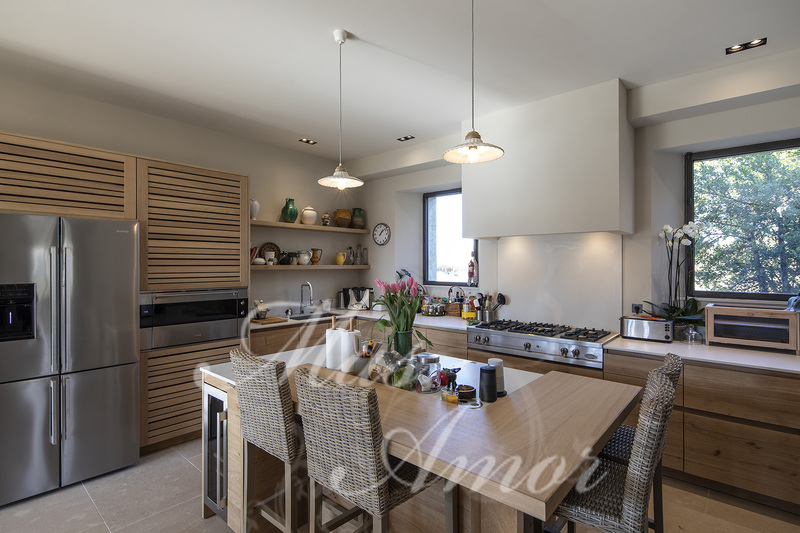 A spacious fully equipped open kitchen extends the living room, as well as a TV lounge at the other end. 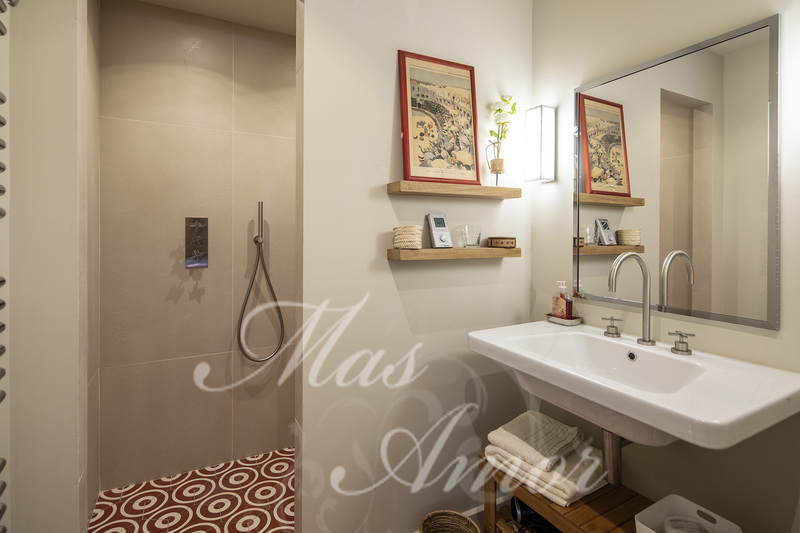 On the ground floor, the parental suite of approximately 50sqm has its own terrace, its office, its bathroom and its large dressing. 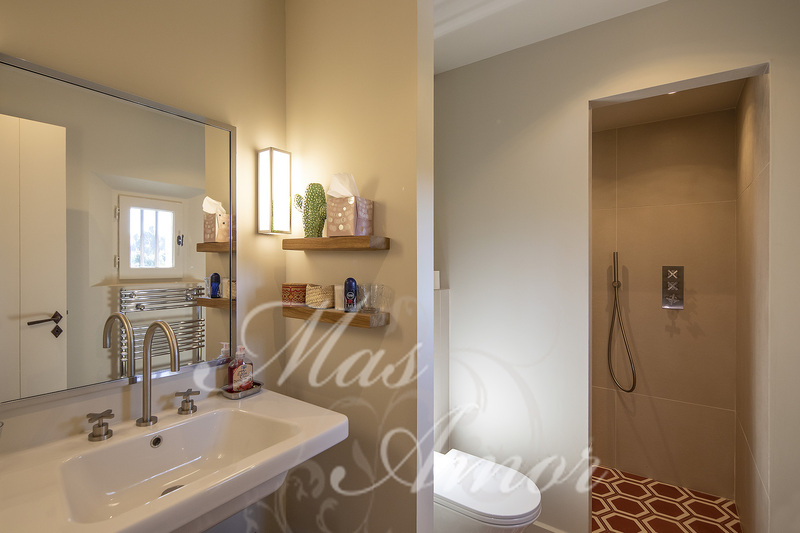 Upstairs, a family area with two bedrooms share a large bathroom. 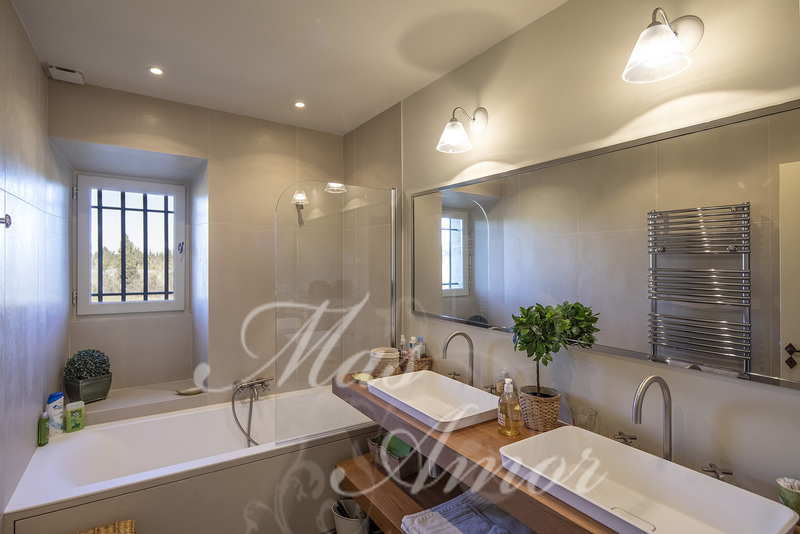 Three other rooms, all of different decoration each have a private bathroom and offers a nice view of the Alpilles. 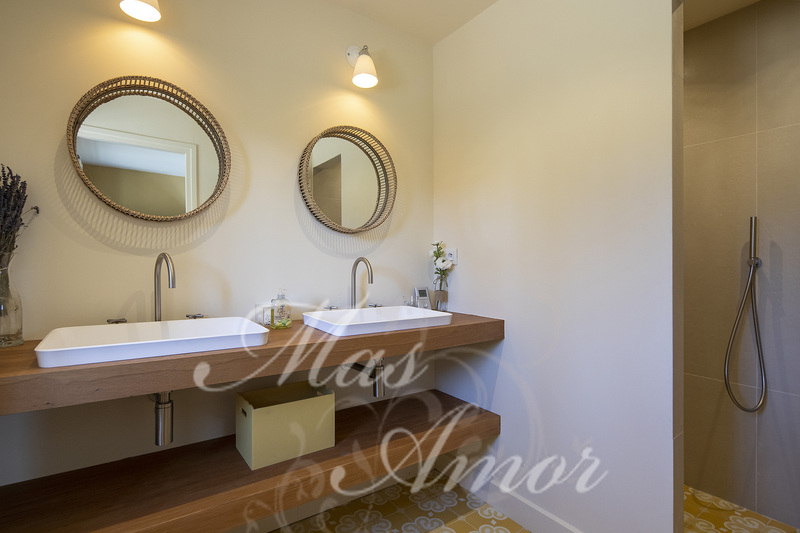 Pool side, a small independent apartment offers a spacious bedroom and a bathroom. Private swimming pool (16m x 6m) with security cover and pool alarm. The spot is magical: nature lovers will not be outdone, the manicured garden and its peach fields offers a bucolic stroll. 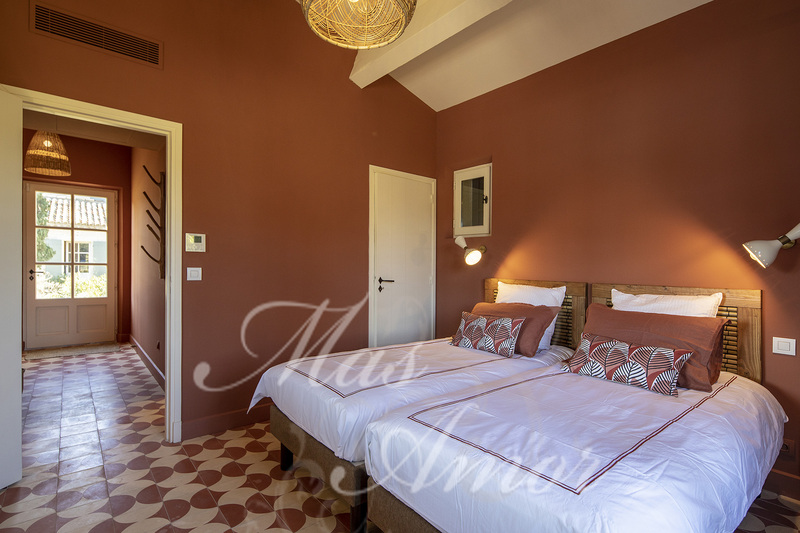 Experience the quiet environment of this elegant provencal villa.